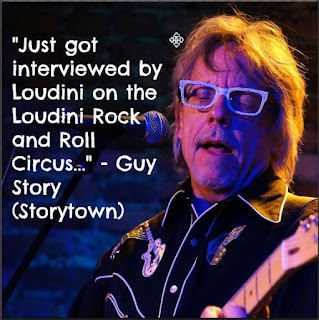 STORYTOWN is a 4-piece, thinking man’s rock and roll band, showcasing the songs of guitarist Guy Story. Guy is originally from Mississippi and now lives in NYC. He’s been playing guitar since his early teens and has continued playing over the years while pursuing a career in technology (Bell Laboratories, Audible.com, Amazon). Guy is now taking a break from technology to focus on making the best music he can. Every song is a story – no pun intended –supported by infectious grooves and memorable melodies. Guy has assembled an excellent band: bassist Rick Wagner, keyboardist Charly Roth, and drummer Tony Cruz. We have good stuff here! !